Nestling between Brittany and Poitou-Charentes, the Pays de la Loire is a region so abundantly blessed with produce as to satisfy the needs of even the most demanding bon viveur on holiday in France. The synonymous river that heads for the Atlantic and ribbons majestically through the region has provided fertile soil, and with it a varied and abundant fruit and vegetable crop. The River Loire not only provides the nutrients for the benefit of vines and vegetable crops, but it also offers up its own delights – freshwater treats for the discerning diner. A local speciality is sandre (zander), while bream and pike are also in rich supply. You will often find these served with a beurre blanc – a rich, sharp sauce made with butter, shallots and vinegar. This sauce originated in the Nantes/Angers area, on the banks of the Loire. Similarly delicious is matelote d’anguilles, a rich eel stew made with local red wine. Head for the coast and the Pays de la Loire comes into it’s own, with seafood aplenty. There can be few matches more heavenly than freshly served shellfish rinsed down with a chilled Muscadet. And who can resist half-a-dozen Vendéen oysters, rendered perfect with a small amount of shallot vinegar drizzled on top and a side plate of brown bread and butter? Perfection! 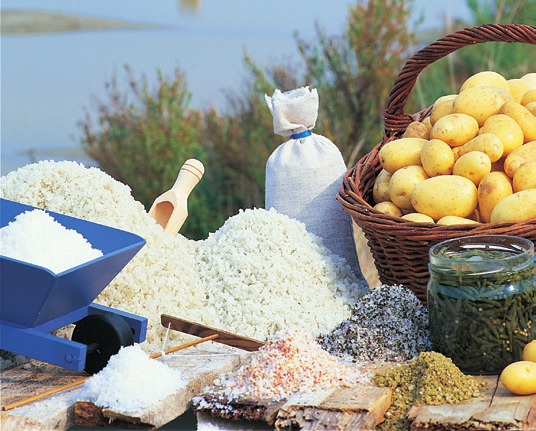 There’s no need to look far for the perfect seasoning for any dish in western Loire, for the networks of salt marsh basins provide the ideal flavouring – fleur de sel, lovingly and skilfully cultivated by hand in both the Presqu’île de Guerande and on the Vendéen island of Noirmoutier. The delicate, violet-tinged aroma lends a real touch of class to any dish. Noirmoutier is also renowned for the quality of its new potatoes, rather cutely nicknamed bonottes, which are often served as an accompaniment to simple grilled fish or meat. In fact, the Pays de la Loire has an abundance of high quality produce like this. Mushrooms (champignons de Paris) are grown in huge quantities in the chilly troglodyte caves around Saumur, while pears, apples, artichokes, all manner of sweet summer berries, leeks and asparagus all add to the region’s long standing reputation as the ‘garden of France’. 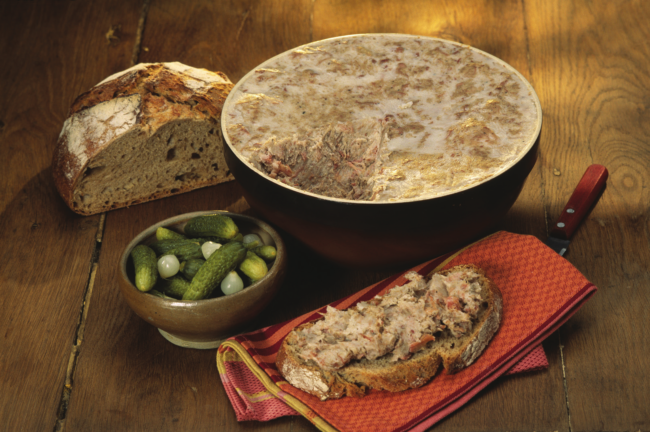 For meat eaters, there are rillettes (jugged pork) which is usually served as a starter or with an aperitif and spread over bread. Meanwhile, in the forested eastern parts of the Loire, wild boar and deer are an interesting alternative to beef or veal dishes and poultry stews. As for what to drink, there is a huge winemaking industry that incorporates reds, whites, rosés, sweets and even sparklers while cheese course lovers are spoilt for choice, and Port Salut is the most famed. À votre santé!